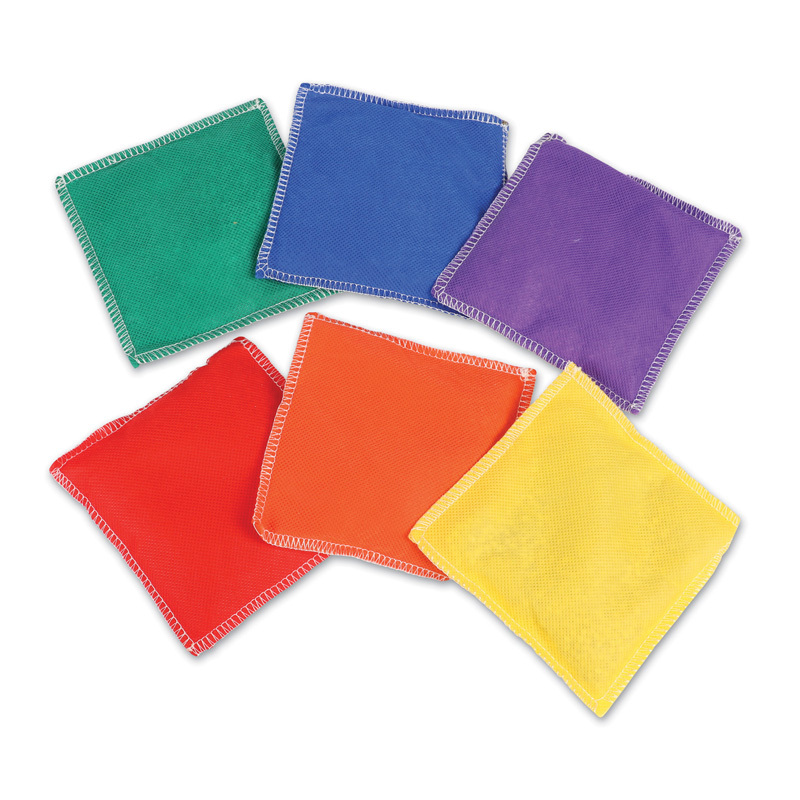 Like horseshoes and darts, the old-fashioned and beloved game of beanbag toss will never go out of style. Children and adults adore this simple aim-and-toss challenge. 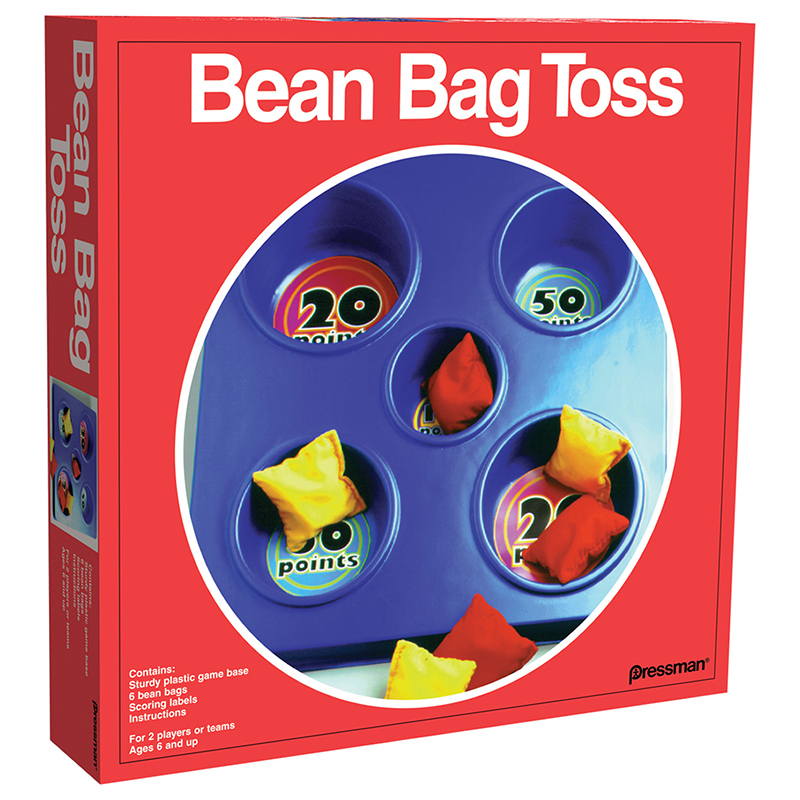 But more than the throwing skills, everyone delights in handling the soft, nubby bags stuffed with real beans. This package comes with a navy-blue, plastic game base containing five wells. The two larger wells are only worth 20 points a hit, the two medium-size ones are worth 50 points, and the tiny well in the middle is worth a whopping 100. 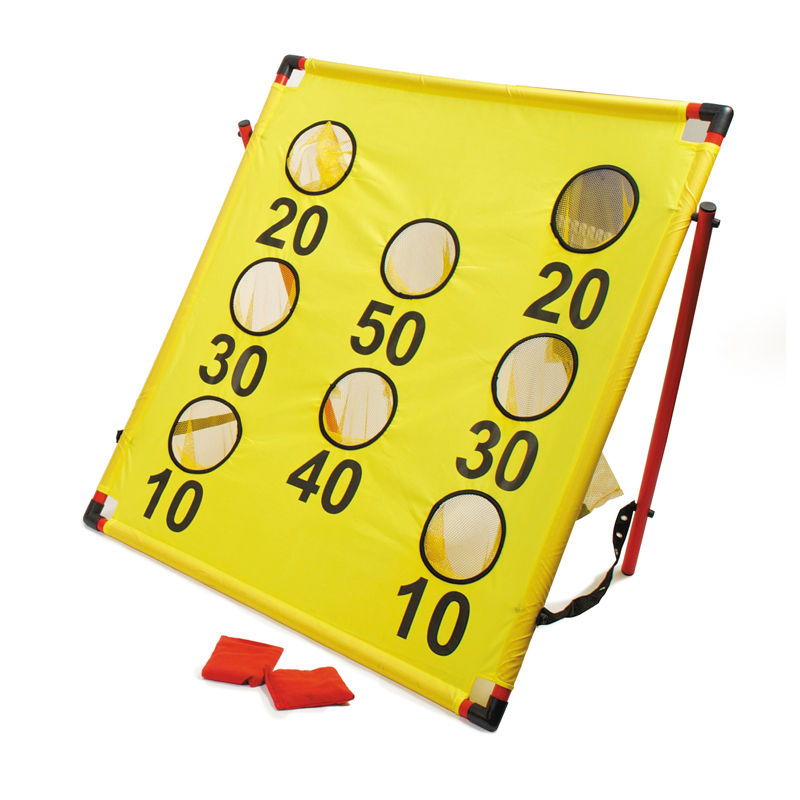 This age-old game is not as easy as it looks, with concentration and careful release of the bags being the keys. 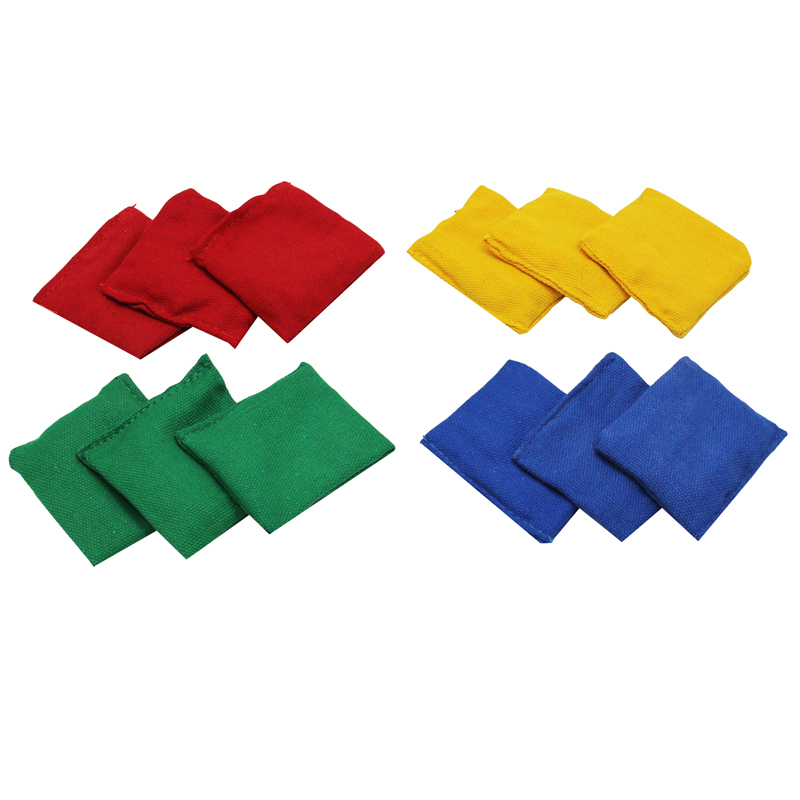 Comes with three red and three yellow beanbags. 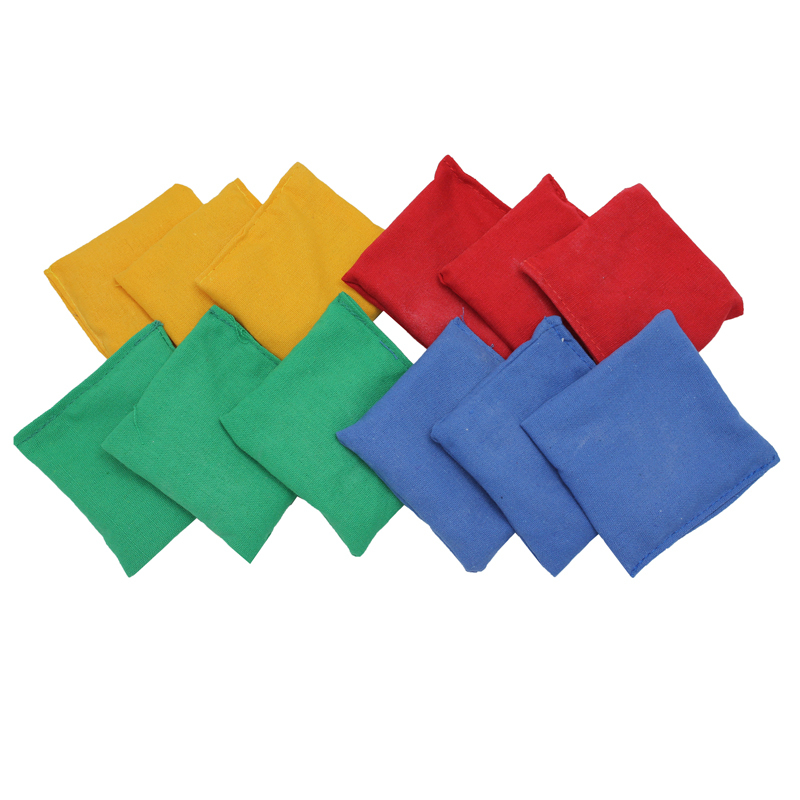 The Bean Bag Toss can be found in our Bean Bags & Tossing Activities product category within the Active Play.